Triathlon has always fascinated us. Combining three endurance sports with each other in a competition presents an athlete with very special challenges. This applies not only to the race, but also to integrating three different sports with their training into everyday life. Temporal, physical and sometimes mental challenges due to the daily routine with family, friends and job. We have successfully mastered these challenges ourselves and achieved top performances. 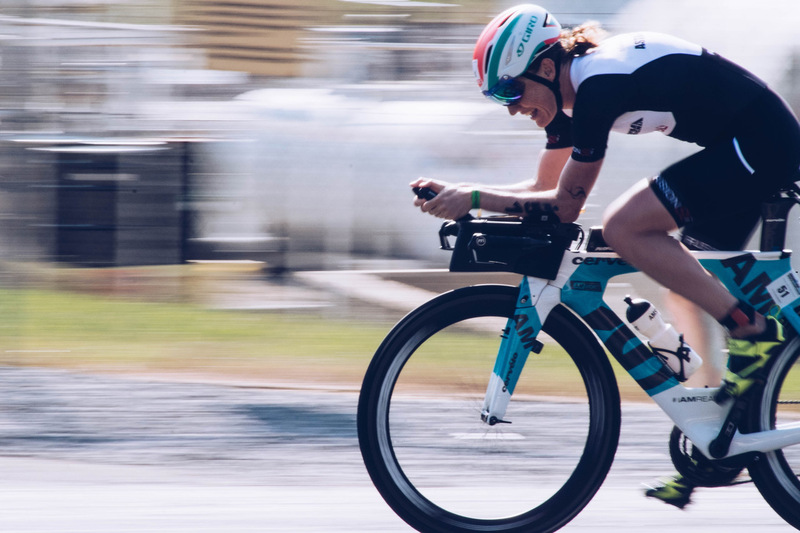 Whether Ironman victories, Hawaiian qualifications and finishs, podiums at 70.3 races or sprint and Olympic distances in the 2nd Triathlon Bundesliga, we have experienced it ourselves. 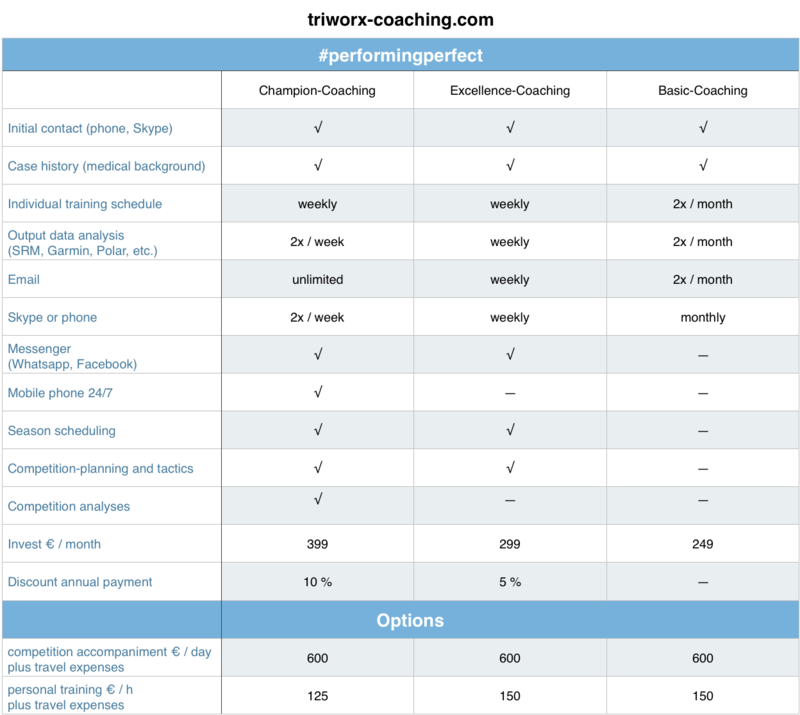 Together with you we coordinate your goals and time frame and derive your personal annual training plan. This way you know your planned training contents and focal points well in advance and we can plan possible training camps or workloads there. The individual training contents are always planned for the following week, so that we can take into account your current training status, your health and the special dates of family, friends and work in detail. We manage all this in a TrainingPeaks Premium account for you, so that you are always and everywhere informed. At the same time, you can also easily download your units to your sports watch or wattmeter and carry out your training program. Which brings us to the point. Depending on your capabilities, your training will always have at least two defaults so that each of your units will get you closer to your goal. Your units will be watt, heart rate, tempo and/or Borg controlled. If you have any questions about one or the other term, we will explain everything to you and show you how these things will make you consistently successful. Because always knowing what the goal of each unit is makes it easier for athletes to become successful. And by the way, strength, stabilisation and alternative training should also be part of a good training plan. To find out how closely you would like to work with us, simply choose your own choice from the following table. Do you have any questions or would you like to get started? Then simply contact us here.